Igor, the creepy, one-eyed scarface pumpkin! This is a tough one but I think you can handle Igor! 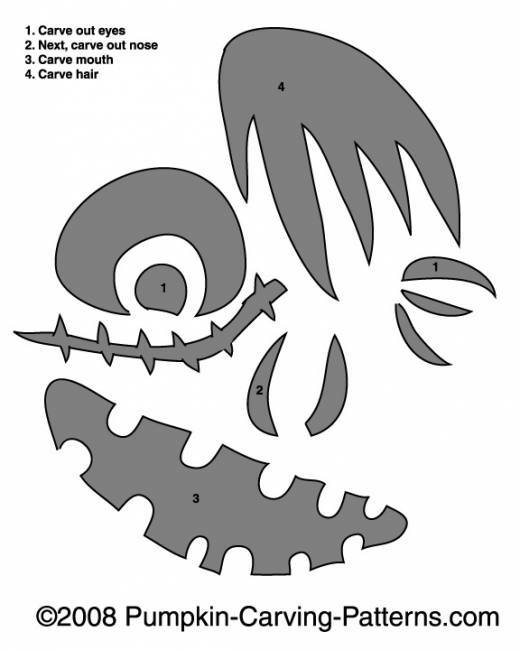 Be careful in carving this pattern and dont forget to make his hair spiky and his teeth little!